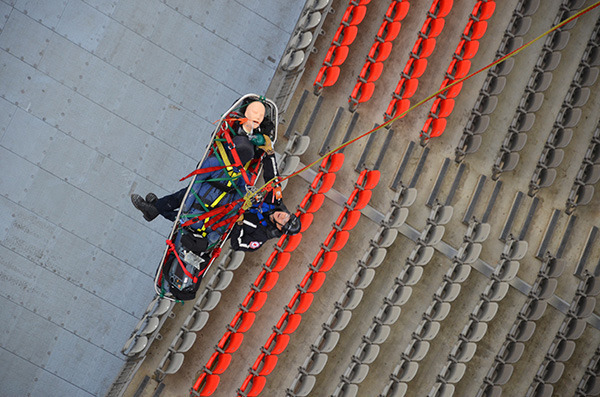 Vancouver’s heavy urban search and rescue team will come to the Alberni Valley for Exercise Coastal Response in June. More than 70 of Canada’s most elite search and rescue personnel are gearing up to descend on Port Alberni this June as part of Exercise Coastal Response. 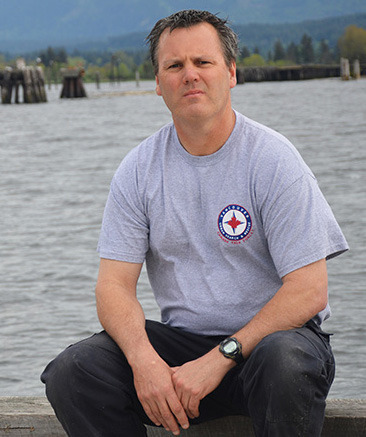 “We’re Canada’s Task Force 1 based out of Vancouver, said Kirk Heaven (pictured here), the training officer with Vancouver Fire and Rescue Services. Task Force 1 is one of four heavy urban search and rescue teams Canada-wide, with the others based in Calgary, Toronto and Brandon, Manitoba. Exercise Coastal Response, which will take place in Port Alberni from June 7-10, is the “first-ever provincially led, full-scale earthquake response exercise that will test elements of the new B.C. Earthquake Immediate Response Plan,” according to the province. Port Alberni was chosen as the location for the $1 million exercise due to its seismic history, including the Good Friday tsunami of 1964. “It’s going to be based on an earthquake with a tsunami that comes through the Valley. We’re basing it on about a 20-metre high tsunami,” said Heaven. There will be seven different disaster areas based around the Alberni Valley, he added. Task Force 1 is made up of Vancouver firefighters, police, engineers, medical and park board staff. “We train every Wednesday and Saturday in Vancouver. We have a mocked building that is collapsed, we have some areas for technical rescue as well as some confined rescue and trench rescue props. It’s quite a large site,” said Heaven. That level of training has served the team well in times of disaster. Task Force 1 is looking for volunteer victims for the June exercise. Anyone interested can email portalberni2016@gmail.com for more information.